PWS&D is working with local partners in Guatemala to support education, income generation, food security and women’s empowerment. Farmers in Guatemala are growing more food to feed their families and earn an income. In the western highlands of the country, PWS&D is working to improve the livelihoods of indigenous women and men through partnerships with Maya-Mam Association of Research and Development (AMMID) and the Fraternidad de Presbiteriales Mayas (FPM). Through these innovative programs, farm families are increasing crop yields and diversity, building resilience to climate change and preserving the environment with improved agricultural practices. Trainings also show farmers how to properly care for livestock and teach marketing skills so they can benefit economically from the sale of produce and animals. Marginalized women are improving their self-esteem and strengthening their voices at the institutional level. With training and access to financial loans, they are also starting up dairy cow production systems and improving their livelihoods. Seeing their businesses succeed is improving their self-sufficiency. The success of these programs has led to their replication in surrounding districts. Children living in the rough neighbourhood surrounding Guatemala City’s garbage dump are accessing education at the Francisco Coll School to build brighter futures. Students who excel qualify for scholarships to further their education, while current graduates pursue studies in business, metalworking and other in-demand professions. 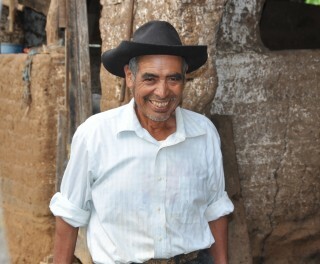 On his farm in the western highlands of Guatemala, Juan Ramirez Cardon was very reliant on the use of chemicals and costly fertilizers to grow enough food to provide for his family. But the expense soon became more than he could bear. Juan worried about how he could continue feeding his family. Not long after, AMMID began working in Juan’s community with the goal of helping farmers who were struggling to provide enough food for their families. 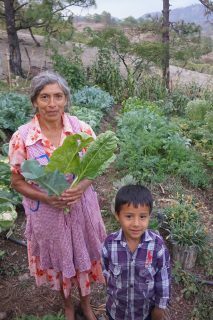 AMMID taught farmers about increasing crop diversity and production, preserving soils and improving nutrition. The work that AMMID was encouraging was something that Juan wanted to be a part of. Juan learned about seed selection and diversifying crops—methods that are yielding significant results and diminishing the need for fertilizers. He also learned how to gather and store water. Juan is sharing his knowledge of soil-healthy farming so more people can grow a variety of food for their families for many years to come. PWS&D has information sheets to help you learn more about our programs in Guatemala.